* News & Information Section: News from our Branches: Australia: It is with great sorrow that we announce the passing away of Mr. Shaukat Ali's mother in Brisbane, Australia. Her janaza was offered today, in the same city. All visitors are requested to pray for the departed soul. May Allah bestow her with the Jannat-ul-Firdaus, Aameen. All jama'ats are requested to offer the Janaza-e-Ghaibana for the deceased. 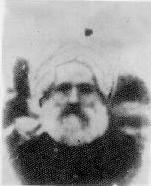 * 101st Anniversary of the Martyrdom of Hazrat Sahibzada Abdul Latif Shaheed: Today we remember the great sacrifice of life that the beloved disciple of the Promised Messiah -- Hazrat Sahibzada Abdul Latif Shaheed of Khost (Afghanistan) -- made on 14th July 1903. He was martyred by the ruler of Afghanistan for his belief in the Promised Messiah.